It’s Friday night. I’m sitting at my drawing board in my studio loft at Hiawatha Artspace, Seattle. Through the generous windows, I can see the lights of the tall downtown buildings. I can hear them talk about magical and mysterious stories going on down there: impossible love affairs, unexpected reunions with old friends, the discovery of never imagined flavors at exotic restaurants, and the rapturous blowing of a sax at a night club. 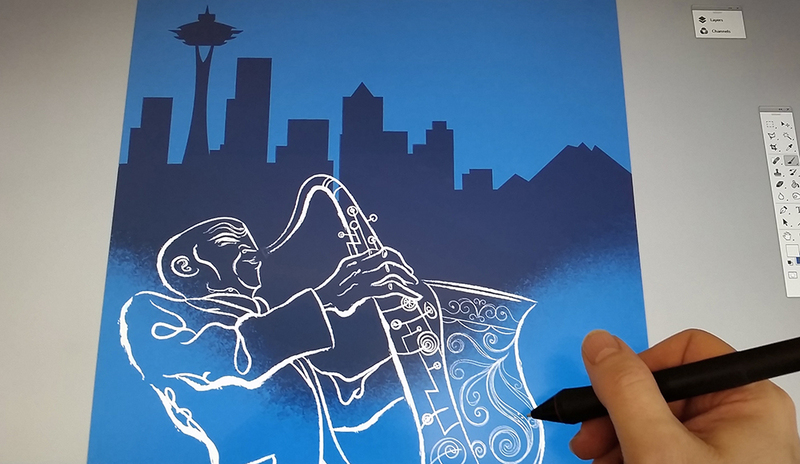 At my studio, Dexter Gordon provides the soundtrack to this everlasting moment that I’m trying to capture with all my might. It’s Friday night. 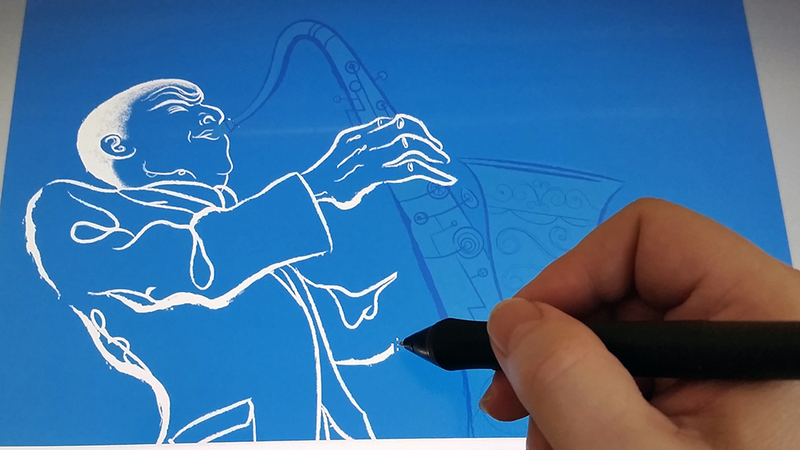 After many workdays, I get to finish this new album cover. I´ve only 20 minutes left to reach the Jazz Alley club, where I’m about to make a dream come true: Bobby Caldwell, one of my teenage idols, plays live. 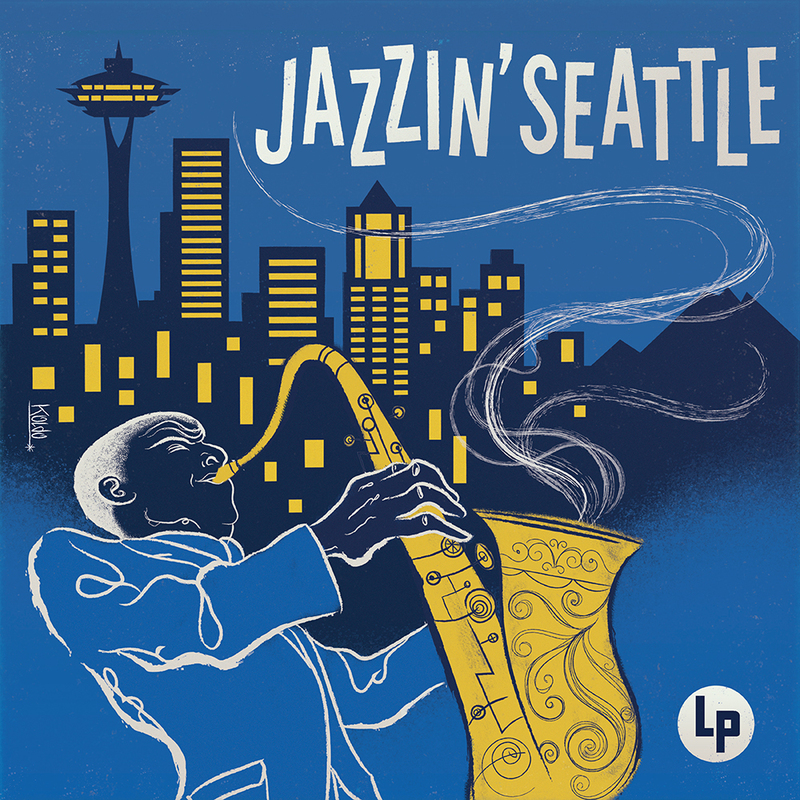 The brilliant alto sax of Andrew Neu asserts it: definitively, it is Jazzin’ in Seattle. 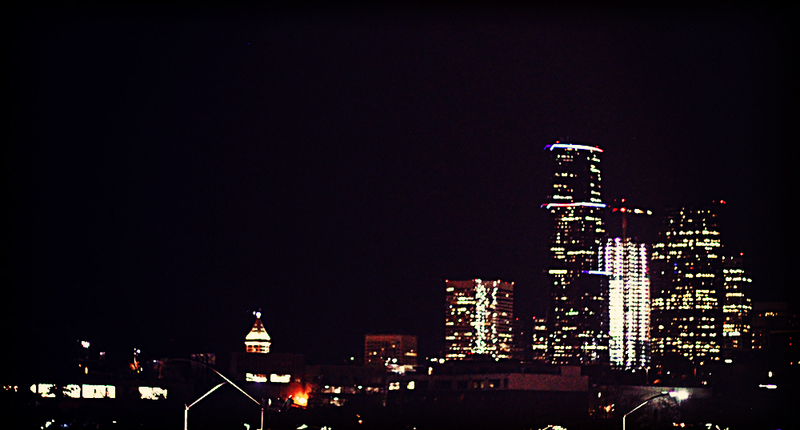 Seattle downtown from my studio.